Sometimes, it’s about your ears. They protrude further than you’d like – or just one of them does. Maybe they don’t appear quite the same size. Or one or both ears has a malformation, from birth or due to an injury. There’s an ear surgery for that, called otoplasty. 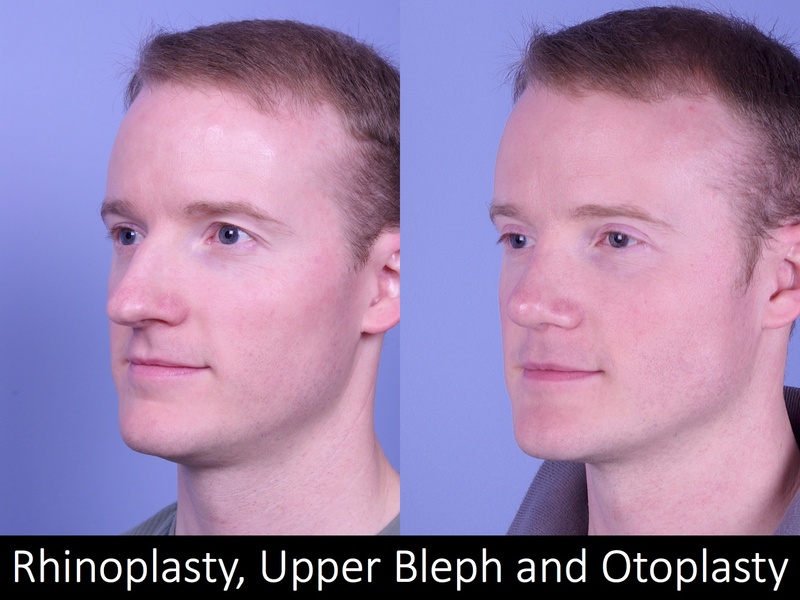 Otoplasty is cosmetic plastic surgery of the outer ear. It is different from surgical procedures performed to correct inner ear problems that cause loss of balance or hearing. In fact, cosmetic changes do not affect your inner ear at all. 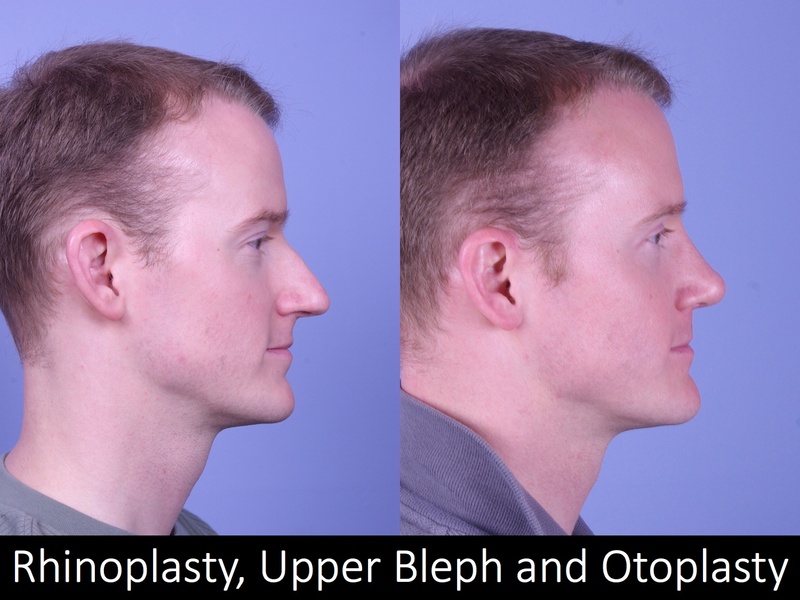 But, if something about the way your ears look is bothering you, otoplasty could give your self-image a big lift. 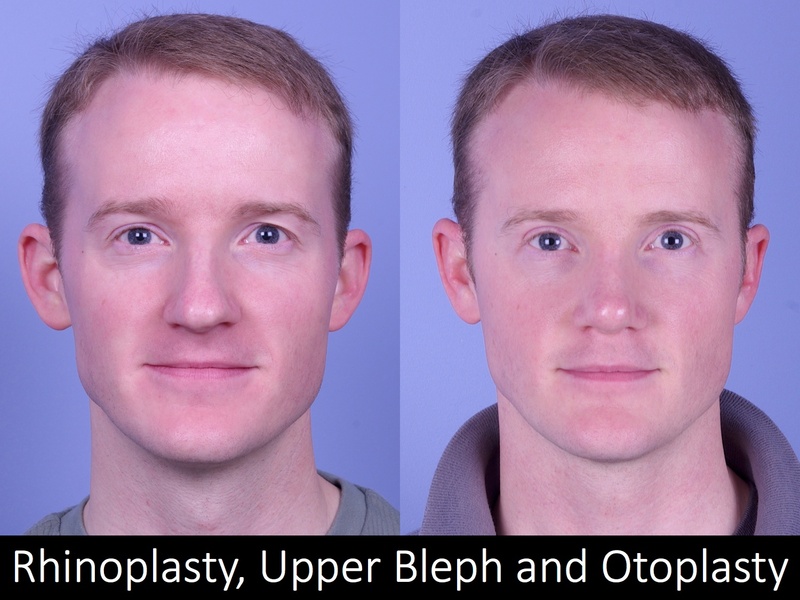 Unlike facial plastic surgery, otoplasty can be performed successfully on almost any age patient. That’s because our ears mature very early, usually when we’re about 5 years old. 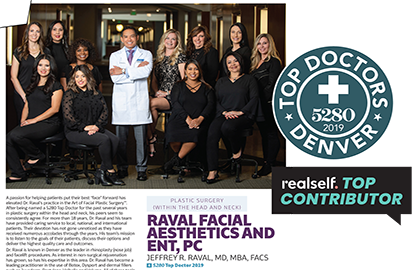 Around three-quarters of the patients on whom Dr. Jeffrey Raval, MD, MBS, FACS performs otoplasty procedures are pre-school age children with very prominent ears. He says this is great timing, because correcting visible issues before a child gets into school can prevent hurtful teasing or even bullying. Some adults seek otoplasty to repair an injury, such as a tear in the earlobe caused by a pierced earring being ripped out. Or to “rejuvenate” the appearance of sagging earlobes later in life. Aging can cause the lobes to become elongated, but often the cause is years of wearing heavy earrings. For all patients, the ultimate goal is a well-proportioned, symmetrical appearance. Pinning. 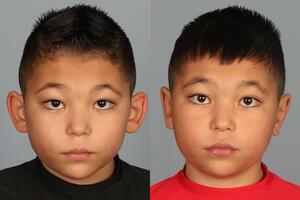 Dr. Raval will reposition protruding ear(s) closer to the head and stitch them into place. Earlobe reduction. Dr. Raval may be able to re-plump sagging, flaccid earlobes using dermal fillers. Otherwise, he will cut out a piece of the cartilage and re-stitch it. Earlobe repairs. Dr. Raval will simply close and re-stitch the tear. Most procedures take about 2 hours, though in some cases the surgery may be shorter. Dr. Raval performs otoplasty as an outpatient procedure at an accredited surgical facility, so there is no need to stay overnight. You’ll be able to go home about an hour after surgery, but adults as well as children must have someone else do the driving. For children, Dr. Raval always uses general anesthesia. He says most adults prefer this as well, but he may be able to use sedation with a local anesthetic instead. Dr. Raval makes the smallest incisions possible, to minimize scarring, and places them where they are least likely to be visible. Usually that is behind the ear, but for certain corrections he will make an incision within the folds of the ear. He uses permanent sutures to secure cartilage beneath the surface, and soluble sutures to close incisions. The most common ear surgery risk is relapse, when pinning comes undone due to ear movement. This is most likely to happen shortly after surgery. Cartilage is very strong and sutured areas have not yet had time to heal, so a fast head turn or other movement can dislodge the surgery. There is a low risk of infection with ear surgery. Some patients may continue to feel a bit of numbness for up to 6 months. It is possible for permanent sutures used to secure cartilage to work themselves to the surface years later. You will rest for about an hour after surgery, then you can go home. At first, you will have a big bandage over your ears, but Dr. Raval will remove that the next day and replace it with a headband. You will wear that for another 24 hours, then you’ll wear it only at night for another 4 to 6 weeks. This protects your ears, keeping them snugly in place even as you move around in your sleep. To protect your ears during the day, you will not be allowed to wear any pullover-style clothing for the first month. If you have had earlobe reduction or repair surgery, you will have to wait a month before wearing earrings again. At first your ears will feel sore, too, but this should go away within a few days. Dr. Raval will likely prescribe pain medication for the first day or two, then an over-the-counter pain reliever should be fine. After a week, school age kids can usually return to school and adults can return to work. Otoplasty can actually be performed as a “weekend” procedure, with surgery on Friday and return to school or work on Monday. However, that requires the patient to avoid anything physically strenuous (running around, lifting, etc.) so Dr. Raval usually recommends the longer rest period. The last thing you want is to undo your surgery. The best way to ensure your recovery goes well is to follow Dr. Raval’s orders, no matter what. Taking shortcuts can delay healing as well as cause problems later on. Once initial swelling has gone down, you will be able to see your new “ear look.” For procedures that are more complex than pinning, it may take a few weeks before final results are fully revealed. If you have had ear surgery in the past and are not happy with the results, you may want to consider a revision procedure. The most common request is to fix an ear that was pinned back but, over time, has started to protrude again. This occurs when temporary or permanent sutures are not able to hold the cartilage, which is very strong. A pinned ear can also start to protrude again quickly, if the patient does not follow instructions about protecting the ears in the weeks immediately after surgery. For example, not wearing the required headband at night. Dr. Raval says the most difficult revision is correction of over-pinned ears, years after the initial surgery. However, it may be possible to make minor improvement. Once your ears have mostly matured – about age 5, as we noted earlier – you may be an appropriate candidate for ear surgery. 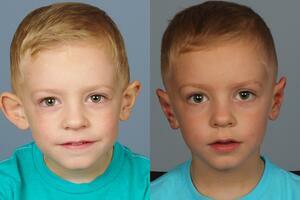 The ears may grow a little after this age, but Dr. Raval says ear size and shape are apparent from birth. In some borderline cases, parents may choose to forego surgery leaving the decision to their child as he or she grows into adulthood. Cost of surgery depends on the details of your procedure. However, ear surgery at Raval Facial Aesthetics and ENT generally runs $6,630*. This includes the surgeon’s fee as well as the surgical facility, anesthesia, medical supplies, etc. You will be given a personal estimate before you make a final decision about your surgery. Do note that cosmetic ear surgery is not covered by most health insurance policies. We always recommend you consult with your insurance provider before surgery to fully under your own coverage. *Pricing as of March 2019 and subject to change with time. A personal consultation with Dr. Raval is the only way to answer this question. If your child is the prospective patient, Dr. Raval will want to speak with both of you. He will examine the ear(s) in question, discuss your medical history and aesthetic goals, and explain potential risks. Then he will recommend a treatment plan.